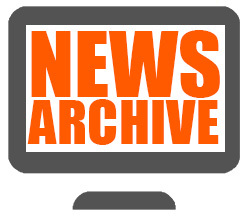 Welcome to LC Automation's News Archive Page. Here you will find copies of our older news stories, reports on past events and product launches. Please note; some special offers will no longer be available, so please call 01254 685900 to confirm price and availability details. 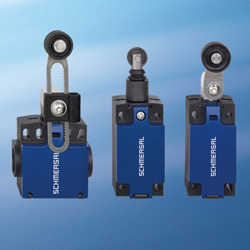 Schmersal has launched a new generation of position switches. The new PS product range is suitable for a variety of applications, as all the position switches can be used both as complete devices and as modular units. Cott Beverages is a large retailer-brand beverage company. It's main processing stages operate at high speed on a virtually continuous basis which led to a level-sensing problem on a bottle-filling line. Fortunately, Sick had the right solution - the LFP Inox Sensor. Rittal supplies solutions for every hygienic requirement – that means safety you can rely on, even in open processes. The Rittal Hygienic Design solutions for food safety are based on: European standards and directives, EU regulations and general requirements in the food industry. 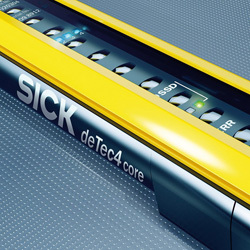 With the deTec4 Core, Sick sets the standard for safety light curtains, offering protection without blind zones, automatic distance measurement, easy commissioning and diagnostic codes that can be interpreted directly. 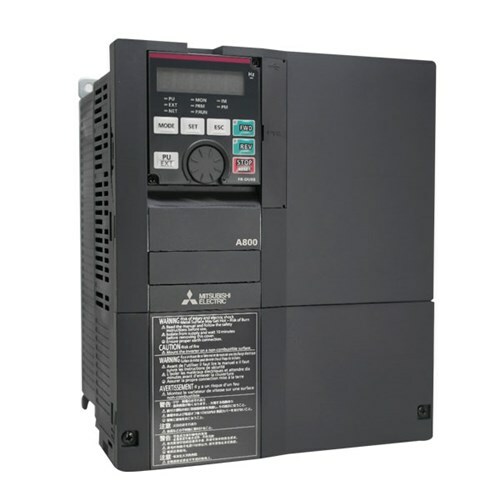 Mitsubishi Electric has introduced Ethernet-connected versions of its large a.c. Inverters. 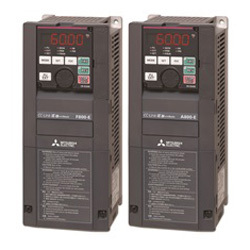 The new FR-A800-E and FR-F800-E a.c. inverters provide Ethernet connectivity as standard, allowing them to be connected directly to automation equipment and plant information management systems. If you are looking to improve your installation efficiency as a result of growing competitive and cost-related pressure, innovative A-Series Terminals reduce installation time and help to reduce your costs. 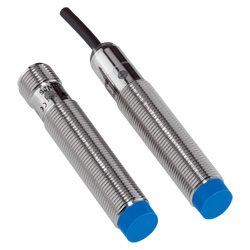 Sick Inductive Proximity Sensors Make Perfect Sense - With List Prices Starting at Just £19.30! Sick are well known as technological and market leaders in opto-electronic sensors. 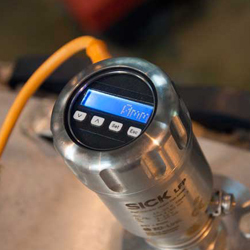 In recent years, Sick has transferred its sensor knowledge from the field of opto-electronics to inductive proximity sensors. 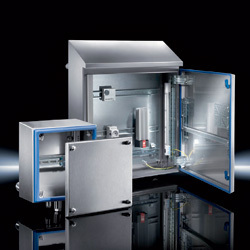 Do you find it difficult to pull cables and connectors through the enclosure entry gland? Or are you fed up with drilling varying holes for different cable diameters? 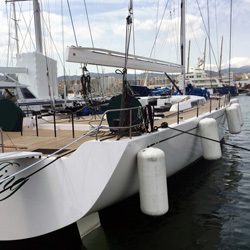 The answer is Lutze Cablefix Vario! 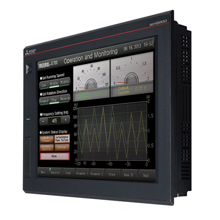 Looking to Upgrade to a Mitsubishi GOT 2000 HMI? These Add on Kits are Great Value! Our Mitsubishi GOT HMI add on kits include the full iQ Works2 software suite (with programming software for every Mitsubishi Electric product including the GOT HMIs) - saving you over £650 compared to the usual selling price. 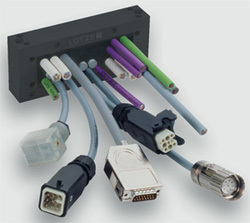 Lutze have launched a new DIN Rail mounted Cat. 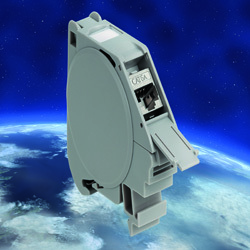 6A Module holder with a RJ45 socket and IDC connection technology. At just 18mm wide, it is one of the most compact of its type and will save space in your control panel. Schmersal has extended its range of command and alarm devices for the food industry by adding a blue sealing membrane to meet the requirements for making foreign bodies in foods traceable using optical systems. 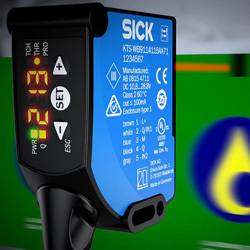 Sick has launched the KTS/KTX family of contrast sensors, delivering a powerful next-generation technology that breaks new ground in reliability, accuracy and versatility for print, labelling and packaging applications. We are pleased to announce that LC Automation has been awarded accreditation from Alcumus SafeContractor for achieving excellence in health and safety in the workplace. 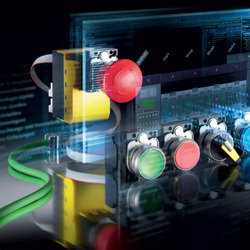 Communication is one of the strong points of Sirius ACT pushbuttons, indicators and selector switches - and now you can also connect pushbuttons & signalling devices via PROFINET, AS-Interface and IO-Link. The class leading FR-A800 a.c. inverter is designed for high end applications where maximum performance, increased efficiency and reliability must be guaranteed. User-friendly and with numerous network connections, the FR-A800 also complies with a range of international regulations and standards. Lutze has received CC-Link IE Field Network Certification for Industrial Ethernet cables and connectors by CC-Link Partner Association (CLPA). 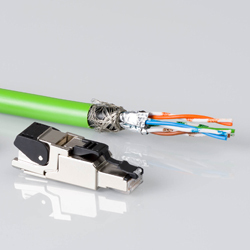 The CC-Link IE Field certified products offer a complete solution including flexible and high flexing Ethernet cables and Industrial Network Connectors.